Purpose: The following article explains how to keep outlook email files in secondary drive. By default, outlook files are saved in C: drive which is usually the drive used by operating system. If the operating system crashes or is reinstalled, it may result in the loss of emails. It is, hence, recommended to keep the outlook files in drives other than the drive used for operating system. Applies To: New or exisitng pop accounts. To move data files to other drive follow the given steps. 2- Once the account is created, close the outlook. 4- Now close the outlook and go to the path of pst files. 5- Copy your pst file to your desired location on another drive. 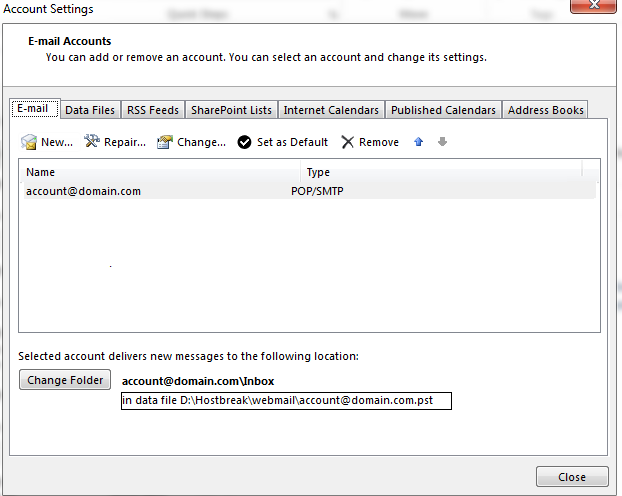 6- Now open outlook, go to account settings. Click on your configured account and remove it. 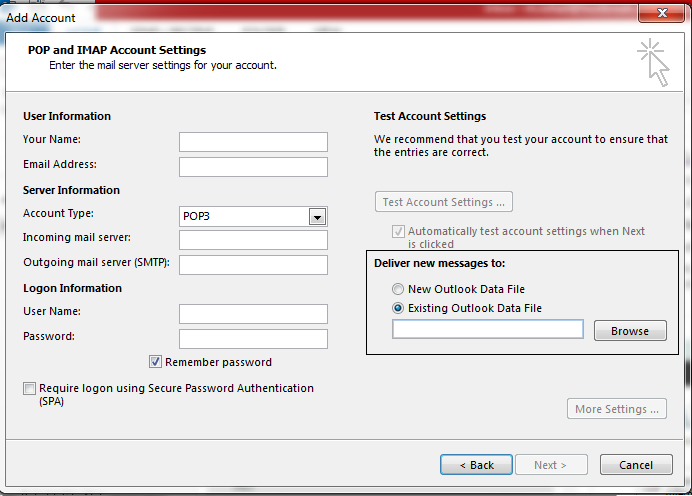 8- While configuring account, on right you will find option Deliver New Messages To , choose option Existing Outlook Data File. 9- Now browse to the path, where you saved your PST and select the PST file. 10 - Now complete the account setup. Your outlook files will now be configured from your secondary drive.